Another month, another Employee Spotlight. This month we managed to find some time to sit down with Matt Kristek. 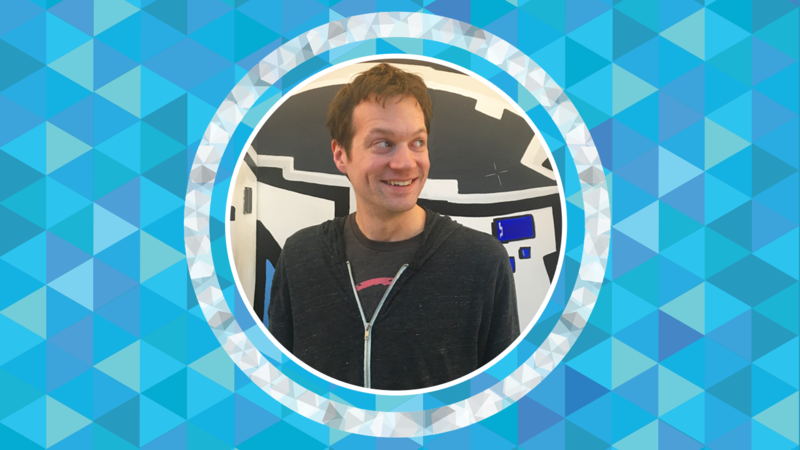 If you’ve ever playtested anything for Harmonix, you’ll recognize his face! If you haven't signed up to playtest at Harmonix, and can spare a day in Boston, what are you waiting for? Hit up HarmonixMusic.com/playtest today! Anyway, without further delay, let’s pass the mic over to Matt! Hi there! My name’s Matt and I’m the User Researcher at Harmonix. That’s a fancy-schmancy way of saying that I coordinate all of our in-house playtests. Sometimes we need to do additional work to make sure that players don’t get stuck, confused, frustrated, or bored while playing our games. The best way to identify any issues like these is through playtesting. A lot of people (such as, say, my aunt Susan) think that means that I get to sit around and play video games all day for a living. Not quite! To put it more accurately, I get to sit around and watch other people play video games all day. Then I get to go back to our dev teams and report on all the ways that the final game could be improved, based on what I’ve observed players saying and doing during our playtests. 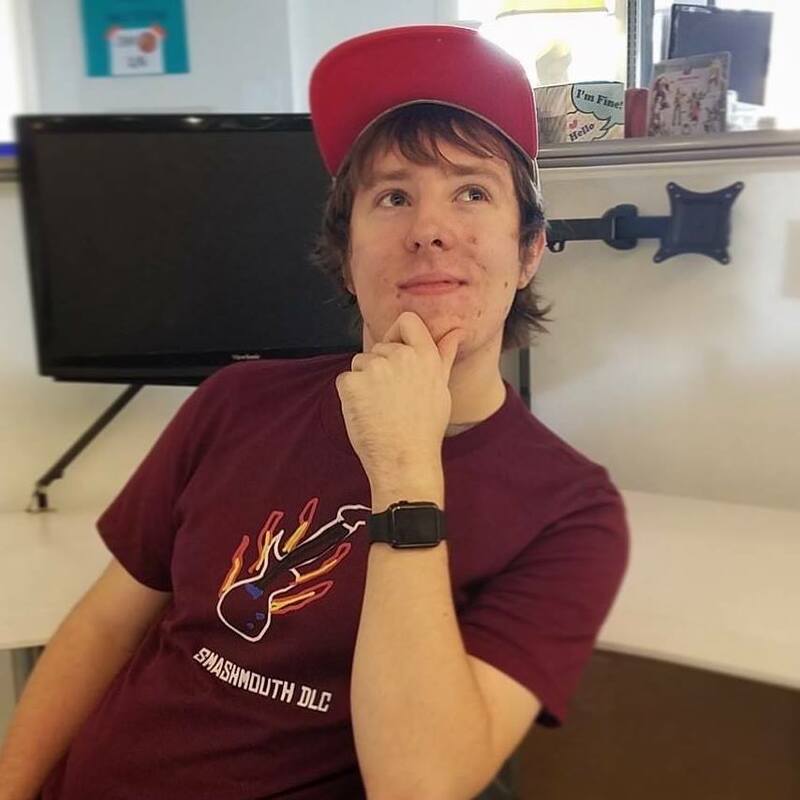 Before I came to Harmonix, I dipped my toe into game development with a short spell as a QA tester at another rad Boston-based game developer, Demiurge Studios. Prior to that, I actually went to school for film and video production. My degree proved to be… less that practical when it came to making video games, but I do get to apply some basic filmmaking “skills” (lol) here and there (For example, I got to shoot and cut an original Rock Band 4 video featuring the debut of our own beloved Kool Terry). 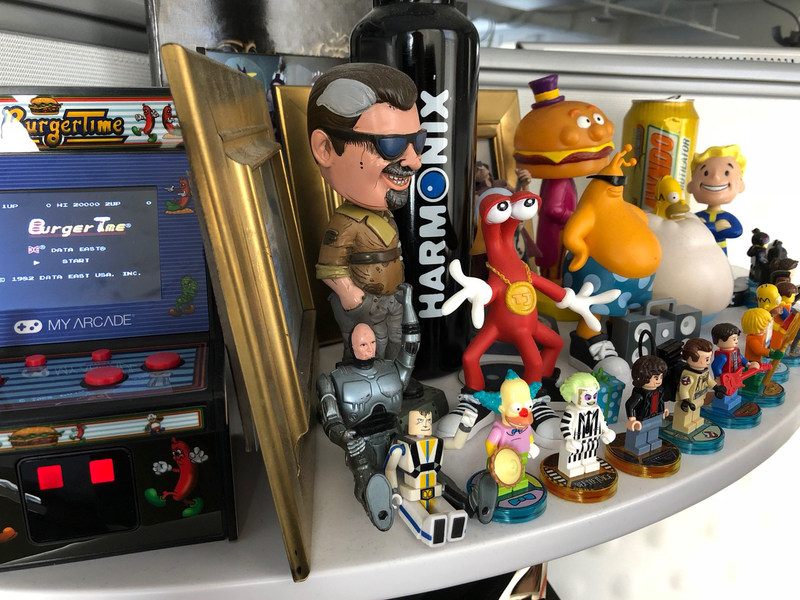 I’m really lucky that I get to be involved with literally every game that we work on at Harmonix. Not every project will necessarily see the light of day, but everything we work on (Rock Band, Amplitude, Fantasia, Dance Central, DropMix, and everything in between) needs to be put through the playtest ringer. That means that I’ve gotten to work a few dozen different projects (and counting!) over my seven years here. That is, in a word, bonkers. And it’s a feat that I’m really proud of. For a few reasons, I gotta go with Rock Band Blitz. Coming to Harmonix in 2011 as a HUGE Rock Band superfan, it was a dream come true to actually get to work on a game in the series. I was pretty green at the time, so Blitz was the game that I really cut my playtestin’ teeth on, and learned a ton that I still apply to my work today. It was also my introduction to controller-based beatmatch gameplay. I had to retrain my hands for a different control scheme by the time our Amplitude reboot rolled around (another favorite of mine!). What's your favorite Rock Band song of all time? One of my all time favorite songs, period: “More Than A Feeling” by Boston. All four parts are a blast to play, and it never fails to fire up a room during any Rock Band session. It’s just science. What is your favorite DropMix Mix? Gotta go with Whacky Bat. Pro Mode, of course. The later levels are some of the most bananas challenging rhythm gameplay I’ve come across in ages, but MAN does it feel good when you find the groove and get a good streak goin’ (around here we refer to that as a ‘flow state’). Most people just call me ‘Kristek' since there are so many Matts here. Too many, if you ask me. Thanks to a sweet tooth the size of Canada, I will blindly grab a heapin' handful of whatever-the-hell from the candy bowl, and snarf it all down like a true garbage monster. Then I grab a nice healthy zero-calorie seltzer from the fridge because I’m so health conscious.